Government to introduce new energy labels for TVs from June 20 | What Hi-Fi? 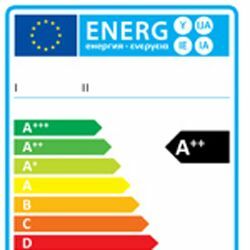 The Government is to introduce a new energy labelling system for electrical goods, including TVs, from June 20th. The new labels will introduce the A+ and A++ ratings, with the ultimate A+++ score coming into force when qualifying products become available. They also show the amount of energy the product uses in kWh. To help shoppers choose the most energy-efficient products, the Government has also released a YouTube video to explain the changes. This will be backed up by point-of-sale leaflets in stores. Energy ratings are also expected to appear in advertisements. Other products covered by the scheme include washing machines, fridge-freezers and dishwashers, with boilers and vaccum cleaners to follow. Environment secretary Caroline Spelman says: "“Consumers want to make the right decisions when buying new goods that use less energy and bring down household bills.